The (Iranian) Navy will dispatch the ultra heavy Tareq-class submarine, ‘Younus’ as part of the Navy’s 28th flotilla of warships to the countries of East Asia,” Lieutenant Commander of the Iranian Navy for Operations Admiral Siyavash Jarreh said Wednesday afternoon, a few hours before the 28th flotilla left the harbor in Southern Iran. 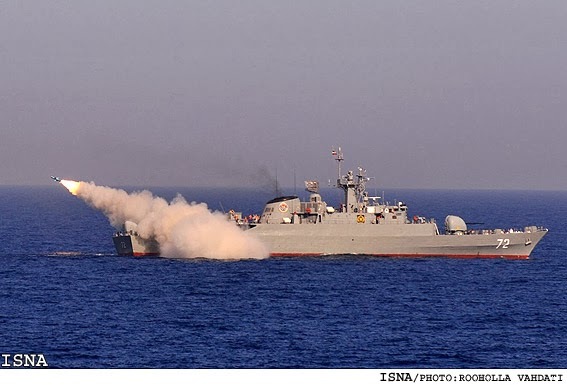 The Admiral said that Alborz destroyer and Bandar Abbas helicopter-carrier warship will accompany Younus in this crucially important extraterritorial mission of the Iranian Navy. “The Navy’s 28th Flotilla will berth at Mumbai and Colombo ports during its voyage,” he added. 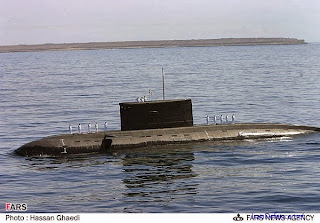 The "Tareq-class" is group of three the Iranian Russian-made Project 877 (NATO Kilo) class submarines. Mumbai is an Indian ports and Colombo is a port in Sri Lanka. 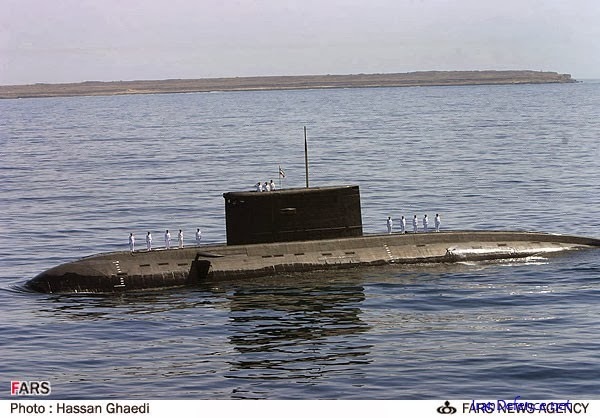 The bragging about the Iranian tech is because the Iranians overhauled their subs and they still seem to work. As far as the "Bandar Abbas helicopter-carrier warship" - well, there is, identified in the invaluable (and virtually no place else) THE NAVAL INSTITUTE GUIDE TO COMBAT FLEETS OF THE WORLD, 16th Edition Their Ships, Aircraft, and Systems by Eric Wertheim* this little 4700 ton oiler that apparently can carry a single small helicopter in its telescoping helicopter hanger. Just a little over-statement of capability, right? *Let me again recommend THE NAVAL INSTITUTE GUIDE TO COMBAT FLEETS OF THE WORLD, 16th Edition Their Ships, Aircraft, and Systems by Eric Wertheim as a Christmas gift to the "navalist" in your life (even if that means "self-gifting" it). No better reference exists. Helicopter carrier?--well it does carry a helicopter. Destroyer?---well it can destroy things. Ultra heavy submarine?--way heavier than our other submarines. Its all for domestic consumption. The rest of us are laughing.